Orlando is a city in the U.S. state of Florida and it is in Orange County. 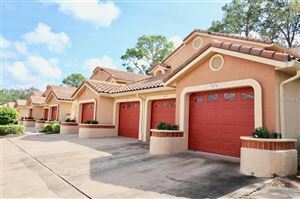 Located in Central Florida, it is the center of the Orlando metropolitan area. The City of Orlando is nicknamed "The City Beautiful," and its symbol is the fountain at Lake Eola. Orlando is also known as "The Theme Park Capital of the World" and in 2016 its tourist attractions and events drew more than 72 million visitors. The Orlando International Airport is the 13th busiest airport in the United States and the 29th busiest in the world. As one of the world's most visited tourist destinations, Orlando's famous attractions form the backbone of its tourism industry. The two most significant of these attractions are Walt Disney World, opened by the Walt Disney Company in 1971, and located approximately 21 miles (34 km) southwest of Downtown Orlando in Bay Lake; and the Universal Orlando Resort, opened in 1999 as a major expansion ofU niversal Studios Florida. With the exception of Walt Disney World, most major attractions are located along International Drive with one of these attractions being the famous Orlando Eye. The city is also one of the busiest. American cities for conferences and conventions; the Orange County Convention Center is the second-largest convention facility in the United States.